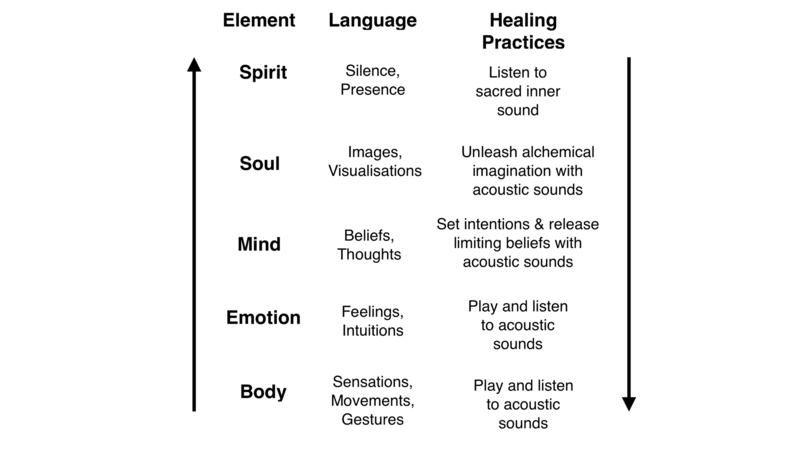 What is INTEGRAL Sound Healing and why is it so effective? What is INTEGRAL Sound Healing and why is it so powerful and effective? People without quality sound healing training and experience run group sound events and 1-2-1 sessions and the people who show up don't get lasting benefits. Sound healing can be like a music concert - entertaining and fun, but not much more. Of course, it can also be a lot worse than that. Without the knowledge and skill development that you get with good training courses, there can be a lot of banging and crashing of instruments which leave people feeling more jangled and stressed than they were when they arrived. In this video Tony Nec, the Principal of the Sound Healing Academy, covers the key concepts behind Integral Sound Healing and outlines why our unique form of sound healing is so powerful and effective. This talk was delivered live at a 5-day workshop run by the Sound Healing Academy at Bath Spa University in August 2018. The workshop was for our Level 2 Practitioner Diploma in Integral Sound Healing for working 1-2-1 with individual clients.